Mushrooms. 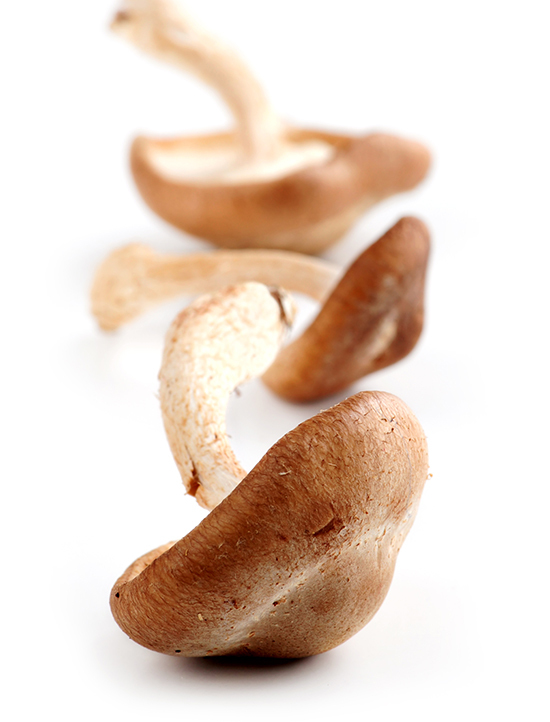 Let’s start with plump shiitake mushrooms, pan-roasted in a pat of butter. Let’s serve them with wilted arugula and crispy slices of sourdough bread. Let’s crown them with farm-fresh poached eggs. And, as a last touch, let’s drizzle the whole thing with a white truffle cream made with Gourmet Attitude’s deep and intensely flavorful Tartufata. This dish is an obvious choice for brunch, but I also love to serve it for a light dinner with baby potatoes pan-roasted in a little brown butter and olive oil, and a crisp mesclun salad. The only problem is, we always want seconds! A red wine with earthy notes, like a Pinot Noir from Burgundy or a Dolcetto d’Alba from Piedmont, is sublime with the mushrooms and truffle cream! Step 1: Place the stock, cream and salt in a medium saucepan. Stir well and heat over medium-high heat. Once the mixture reaches boiling point, reduce heat to medium and simmer for about 15 minutes until the mixture has reduced by two thirds and has slightly thickened. Remove from heat, whisk in the Tartufata/white truffle cream until well blended. 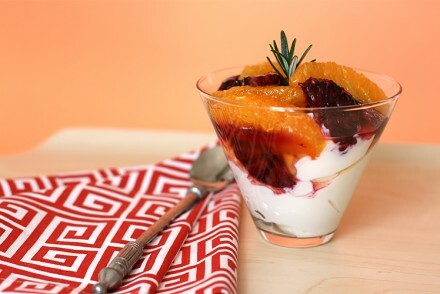 Transfer to a bowl, set aside and cool. Cook’s note: The sauce can be made up to one day ahead and refrigerated (after one day, the truffle cream starts losing its flavor). Bring to room temperature before serving. The sauce doesn’t need to be reheated before serving. Step 2: Heat a large non-stick skillet over high heat. Add the butter. Once the butter has melted, reduce heat to medium-high and add the mushrooms gill-side down. Sauté for 2 to 3 minutes until golden-brown while applying a little pressure to the mushrooms with a fork or small spatula as they cook (this is to ensure even browning). Flip the mushrooms and sauté until golden-brown on the other side, continuing to apply a little pressure. Transfer to a plate and sprinkle with salt and pepper to taste. Step 3: Return the pan to the heat. Add the olive oil and the arugula. Toss well and quickly toss the arugula for about 30 seconds to 1 minute until barely wilted. Transfer to a bowl and sprinkle with salt and pepper to taste. Step 5: To assemble the dish — Toast the bread under a broiler until golden-brown on both sides. Place each slice in the center of a plate. Top with a spoonful of the wilted arugula, a mushroom cap (gill-side up) and a poached egg. Drizzle the white truffle cream on top of the eggs and around the plates. Sprinkle with plenty of freshly ground black pepper and serve immediately. Just saw it on Zenspotting. Fabulous as usual Viviane. What a gorgeous, delicious sounding dish! I have never poached an egg, but I always love it when I am served one. Gorgeous creation! Kiri, I see poached eggs in your future 🙂 Thank you for your kind words! These pictures are SO beautiful! 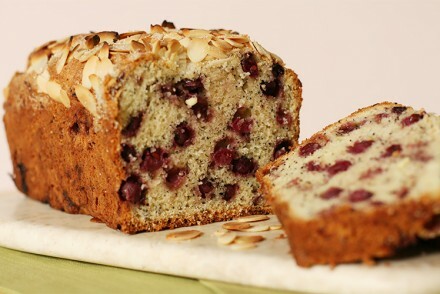 Obviously the recipe sounds delicious but it’s the pictures that make my mouth water! Wow…looking forward to perusing your site. 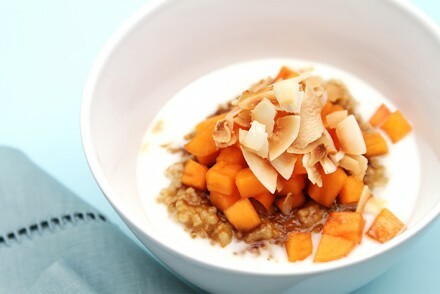 I found you on Foodbuzz! Madison, Thank you so much for stopping by and for your kind words. I hop you had a nice visit. This is so absolutely stunning. I could just eat my computer screen right now. What a lovely gift for your friend. Just saw this on Pinterest. Beautiful! Now, I’m starving–and trying to figure out how this can be my breakfast. Lisa! You’re so funny… How was breakfast? 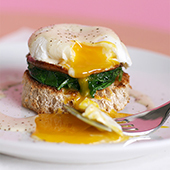 Fantastic twists on Eggs Benedict and the eggs are poached just perfectly! Simply beautiful! I sometimes lack the patience to put something so nice together, but this one looks SO worth it! Nicely done. People want good food all the time, and that is a good thing for restaurateurs. Wow! As I read this on a leisurely Sunday morning, I want this in front of me to eat! Amazingly beautiful with delicious flavors. What an exquisite, royal dish! Honestly, I’ve been looking at the photos for 10 minutes as if it were a work of art! Actually it is a work of culinary art! Poached eggs make me uber happy. I can only imagine how delicious they taste paired with arugula and white truffle cream (gulp!). I’m going to have to try this. My hubby’s birthday is coming up soon and I’m thinking this might make for a perfect surprise breakfast! This is one elegant exquisite dish. My hat goes off to you and I am wishing it was on my table. This looks and sounds absolutely amazing. This looks simply divine. 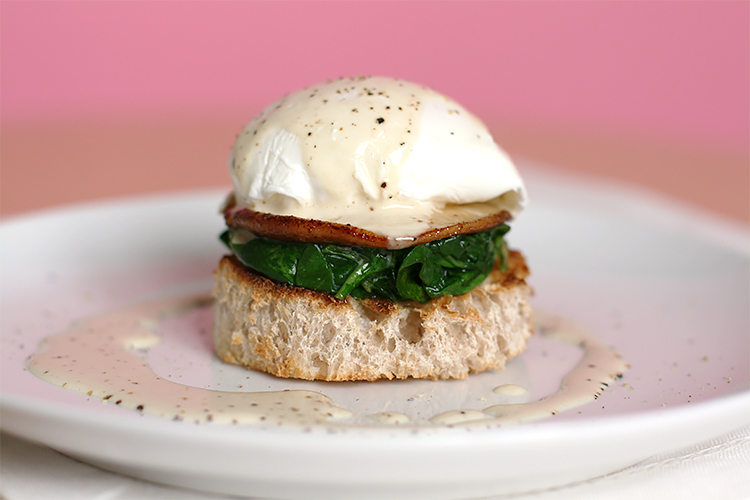 Since Eggs Benedict is one of my favorite dishes, I love variations on the classic. This one looks like it could become the new standard for EB. Yum! So tempting! You are a creative delight. Can’t wait to tweet this! This is my idea of perfection! 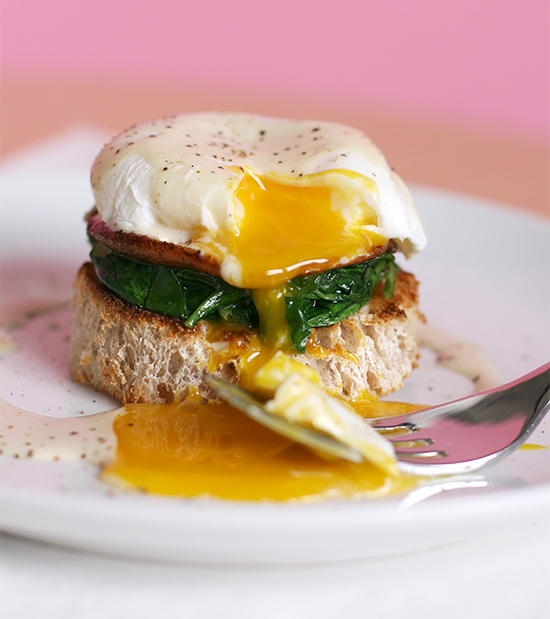 Wow, i need to try this – poached eggs are a favorite. Wow, what a wonderful recipe. I would much rather have a recipe specially created for me than a bouquet of flowers any day. The combination of ingredients sounds divine. How beautiful! I love this recipe. Poached eggs might be my favorite food. I never realized it before this year, but I am totally obsessed with the creamy, rich yolk and the delicate appearance poached eggs bring to a dish. This is gorgeous! The mighty truffle! I can’t wait to taste this. Oh my God!!!!! That looks aMAZING!!!! Am going to make this week! Thanks! This is another elegant dish. Can I eat this for breakfast even with the truffle cream? I think I should break the rules and I should. I love mushrooms and their earthy flavor. So beautifully delicious that my stomach wants to cry…! Can we have this tomorrow night?